Twenty-six Rosenwald schools, the second-highest number in the state, were built in Newberry County. Hannah Rosenwald School was built during the 1924-1925 school year, replacing the older Free Hannah School. 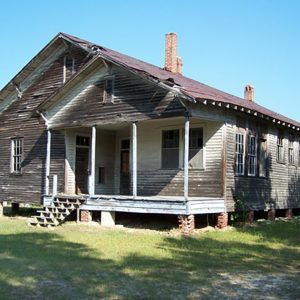 Known in Rosenwald School records as the “Utopia School” after the local community, Hannah Rosenwald School was built on four acres of land near Hannah AME Church, which relocated across the road from the school in 1952. Hannah School closed in the 1960s when it was consolidated with the Newberry and Silverstreet schools.